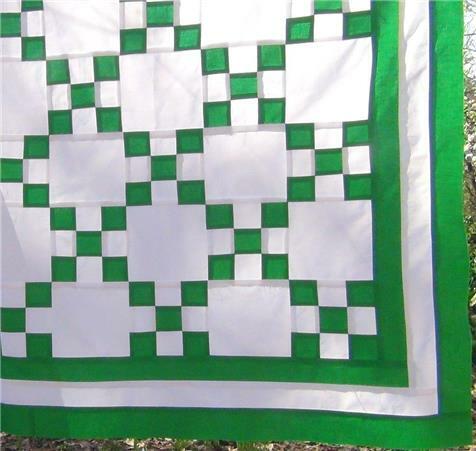 This is a beautiful new: Kelly Green and White Single Irish Chain quilt top. This nice quilt top is made with a gorgeous cotton fabric. 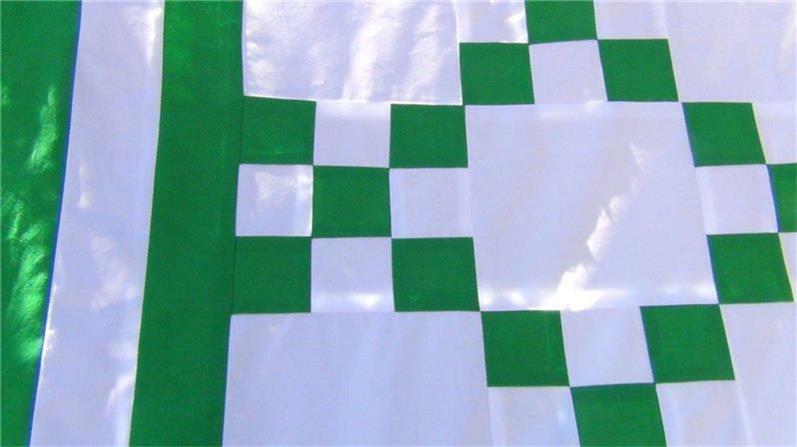 Great for green and white lovers and everyone. Just beautiful. Note: If multiple purchases are made, of this quilt top, in one order, please allow at least five business days for the tops to be made. 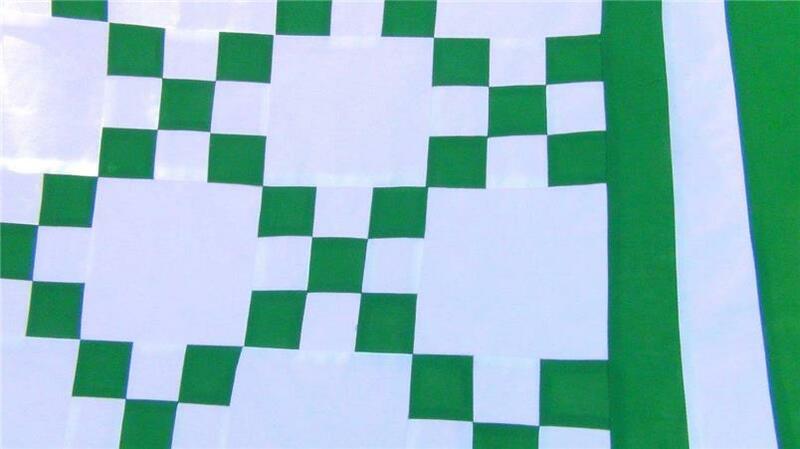 The shade of Kelly green might vary slightly on the completed quilt top; but will be a Kelly green fabric. Fabrics are new, washed, preshrunk, good quality 100% cottons. This lovely quilt top, and all of my items are made by me, and sewn with the utmost in care, though all seams may not perfectly match. This is the quilt top only. You add batting, binding and your lovely quilting designs. ````` My tops and blocks are trimmed and pressed and ready for your project.